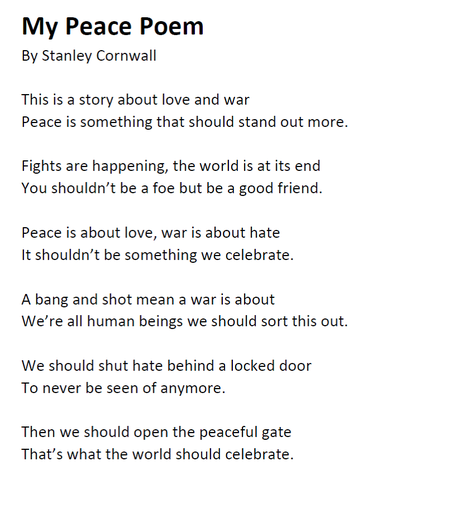 Congratulations to Oscar Nie (4S - Goldfinch) and Stanley Cornwall (3L - Wren) who were both highly commended for their 'Poem for Peace' at the Chelmsford Ideas Festival. You can read their excellent poems by clicking the images. 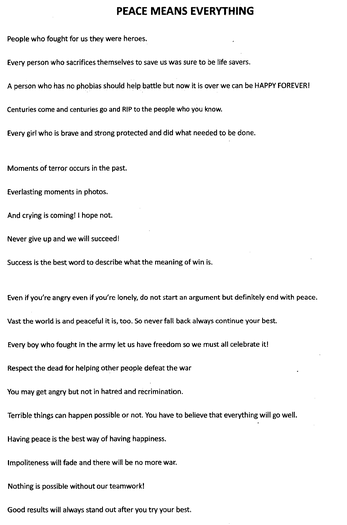 A big well done also goes to Frankie Phillips (3L - Wren) who undertook took an animation camp as part of the same festival of ideas at half-term and, working with two children from other schools, produced this amazing animation to accompany a poem by Isaac Rosenberg.